If you’ve wondered why the locus of the protest against high speed rail in California is Kings County, the answer is, there’s history there, a history that makes the local folks distrustful of anything associated with a railroad. It goes all the way back to the 1880’s and a place called Mussel Slough. With the transcontinental railroad, settlers poured in to the central valley. The Homestead Act made it possible for anyone to build a farm. Also, land was available from the railroads at $2.50 an acre. 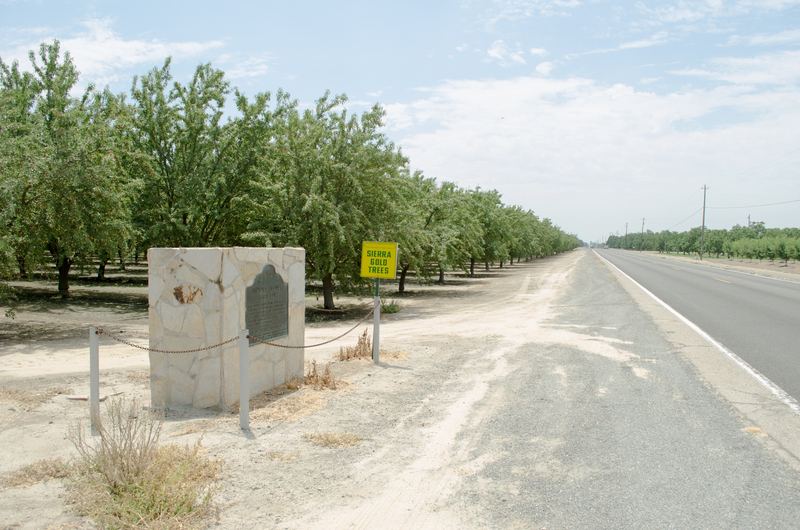 So settlers grabbed up central valley farmland, sometimes not knowing if they were on railroad land or homestead land. The Southern Pacific was building the line through the Mussel Slough District, near Hanford. In the mid-1870’s, the SP announced they would be charging full market value for the land, not the $2.50 an acre previously thought. No credit was given for the development already done; they could pay the assessment or they could leave. The settlers were stunned. They formed a group to resist, and asked Congress to force the railroads to honor their original price. But Congress would not act. Charles Crocker and the SP railroad had all the power. In 1880 the railroad filed suit against the settlers. 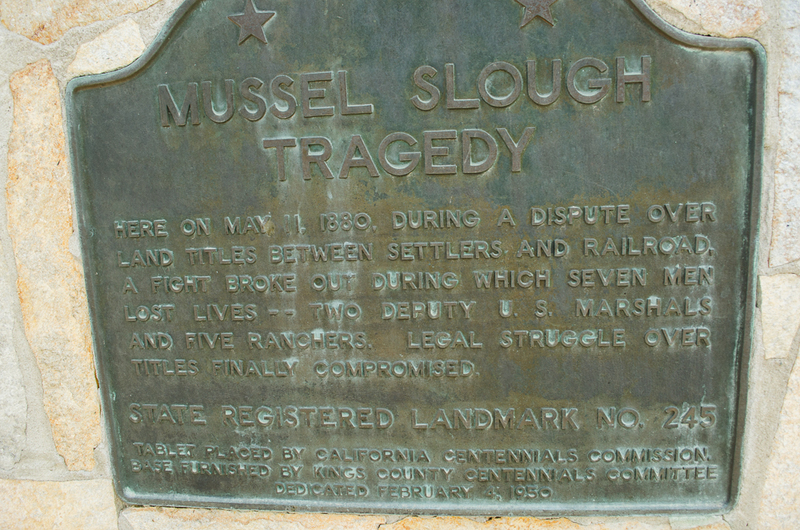 Finally, on May 8, 1880, a heavily armed group of railroad agents entered the Mussel Slough and rode into a confrontation with a group of settlers. No one knows who started the shooting. But when it was done, five settlers and one railroad man were killed. Later that day another railroad man was shot by ambush. No one was charged with the killings, however, four settlers were convicted of interfering with a federal marshal. They served 6 months then were pardoned. After their release, the fight was out of the settlers. Some of them paid, but most left, turning their property over to Crocker and the SP. Mussel Slough. A synonym for betrayal and legalized theft. Reason enough not to trust any institution.